The M1-1044L is a low power GaAs MMIC double balanced mixer that is designed for and operates at the K and Ka band 5G frequencies. MM1-1044L is a low power Ka band mixer that works well as both an up and down converter. 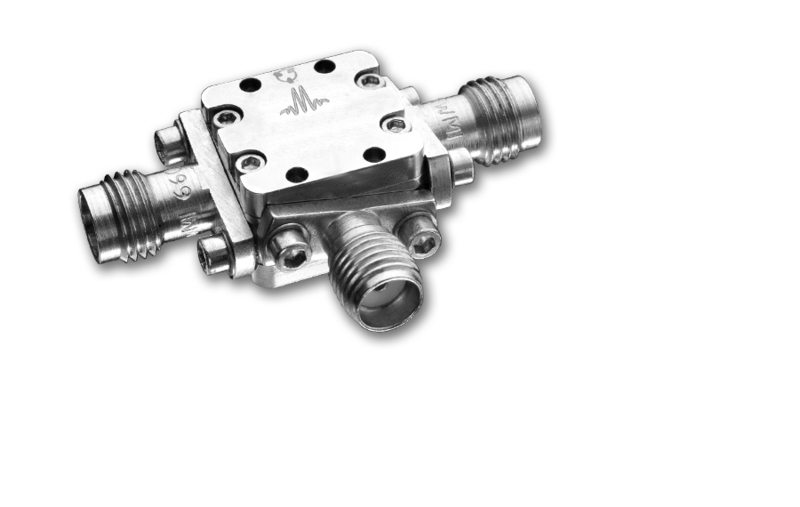 This mixer offers low conversion loss and high LO to RF isolations over a broadband Ku to Ka band. The sister MM1-1044H is recommended for high linearity applications. The MM1-1044L is available as both wire bondable die and as connectorized modules. Min and Max limits apply only to our connectorized units and are guaranteed at TA=+25°C. All bare die are 100% DC tested and visually inspected. RF testing of our die is performed on a sample basis to verify conformance to datasheet guaranteed specifications.